Why Choose Garston for Your Wilflex Inks? Whenever you need Wilflex Ink, Garston should be your go-to supplier. We offer the most honest, low prices for all of our screen printing supplies. 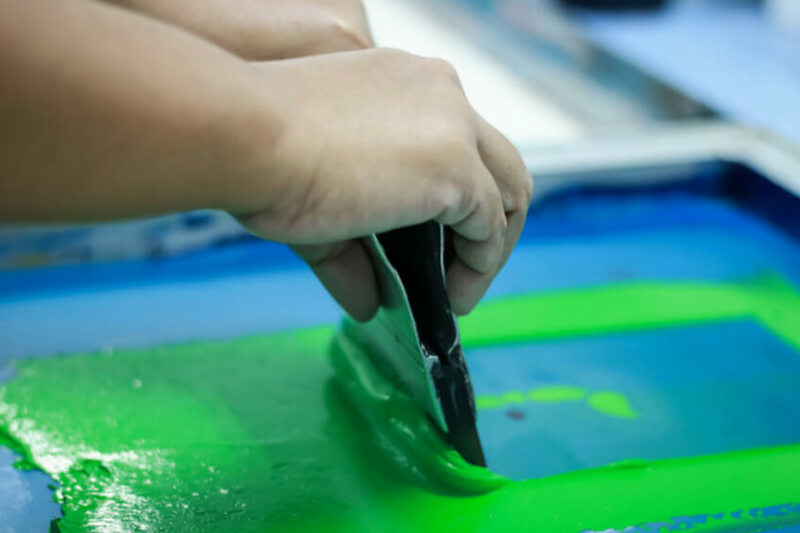 All of our Garston Representatives are well-versed in our products, and we want to help you find the perfect Wilflex Screen Printing Ink to complete your project. We only supply the best, quality products at Garston. That is why we offer the most popular Wilflex Ink ranges because we know how adaptive the color ranges and applications can be. 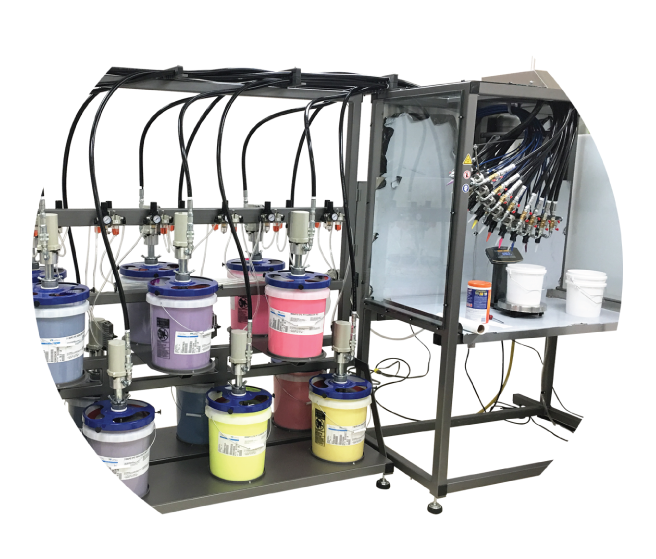 Wilflex Screen Printing Inks require no special setup or special screens. From the first use to the last, you’ll always be able to mix colors accurately and quickly. Wilflex Inks will never go to waste because they do not dry in your screens or inside the container. If you use one of the color mixing systems, you can also reduce the amount of unused ink in your inventory. With the ability of high-speed production, Wilflex Screen Printing Inks offer a stable ink formulation that helps you maintain color balance even on your screen printing press. Wilflex EPIC Inks have always been a go-to product for a majority of screen printers. These non-phthalate plastisol inks are innovative and available for a wide variety of applications. You can shop Wilflex for color options or depending on your application, they can be very helpful for polyester, special effects, transfer inks or you can utilize their color mixing systems. Special Effect Inks available from Wilflex offer you the opportunity to create a unique surface texture. They can be used simply as bases or combined with other additives. Clear Inks: By adding an overprint of Epic Special Effect Clear ink, you can improve the durability and aesthetics of your prints. Metallics, Shimmers, and Glitters: Used mostly for apparel, this ink choice is meant to provide textile printers with similar printing options as vinyl plastisol ink. Special Applications: These inks can be used for numerous unique designs including reflective or glow in the dark. Texture Bases: Textured Based inks can help simulate different types of texture including solid rock, fabric, cracked paint or even a distressed appearance. Looking to simulate the entire Pantone spectrum without buying the entire spectrum? With the help of the WIlflex EPIC Color Mixing System including just 15 inter-mixable colors you can. Each of the colors in this system offers a balance of printability and color with a base chemistry that provides printers with a matte surface finish. You’ll also be able to use them for wet-on-wet printing. Colorful: Every color selection in the Rio range is vibrant, and will always make an impression. Opaque: You will achieve greater flexibility with your mesh sizes and direct printing. Creamy Inks: Rio Epic Inks can be used on manual or automatic presses, and they are always press ready. Simplicity: You won’t have a problem using this mixing system. It has easy mixing, easy matching, and even easier printing options. Consistent: No matter what type of print run; short, long, color to color or batch to batch, every print will be consistent. Accuracy: The Rio mixing system has authentic Pantone matches. Available in 15 non-phthalate, intermixable colors, the Wilflex EPIC Color System Equalizers is easy to use and even easier to mix. This system allows you to create Pantone simulations that offer high production, wet-on-wet printing, and a matte finish. You can use them in conjunction with IMS Software and Pantone colors. 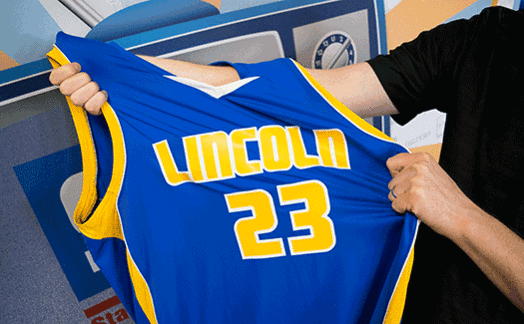 If your print shop specializes in athletic wear, the Wilflex EPIC Top Score Inks are perfect for your every day needs. Most printers will have problems with printing on polyester substrates that need a low temperature and stretch. Wilflex designed them to specifically target opacity and bleed resistance. This line offers 21 of the most popular athletic colors to help match your designs. The components of EPIC Top Score Inks provides a matte finish, low tack, low cure, and excellent printing results. Each Ink color is ready to use from the container and can be used by either small or mid-size garment screen printers. What Are the Phthalates in Wilflex Ink? Phthalates are plasticizers that help to create a flexibile plastic film. Having them in Wilflex inks helps to add flexibility, softness and elongation. WCan Wilflex Inks be mixed with other inks and additives. Wilflex Inks should only be mixed with other similar non-phthalate inks. You can use non-phthalate additives to modify your current ink properties. What Are the Advantages of Wilflex Ink? Printing (press setup) and curing (time and temperature) similarly to plastisol inks. Will not dry in your screens and is compatible with spot remover guns. A faster run and cure time than waterbased ink. Experiencing less issues with emulsion and screen coating issues with prepress and press. What If Wilflex Ink Dries In My Screen? No problem! You won’t experience any problems with drying in your screen. There is a reduced downtime when you work with Wilflex Ink, so you can leave them in during your lunch break or even at the end of the day closing. What Substrate is Recommended for Wilflex Inks? Depending on what type of ink you select, Wilflex Inks can be used with 100% cotton or cotton blends. If you are worried about bleed resistance, use a 11000PFW EPIC BR White. No, Wilflex Inks are not water-based. However, they do perform similarly to plastisol inks, but they do not contain phthalates. Garston is your one-stop shop for everything screen printing. We carry multiple options in the Wilflex Ink range to assist you on your daily printing needs. We only believe in offering our individual printers and large shops with quality products. 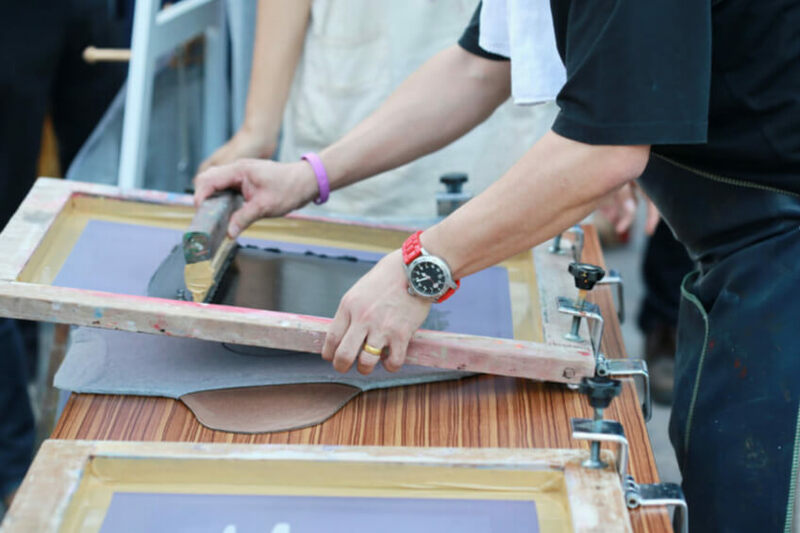 With six decades worth of experience, one of our experts can help you pick out the most suitable Wilflex Screen Printing Ink choice.